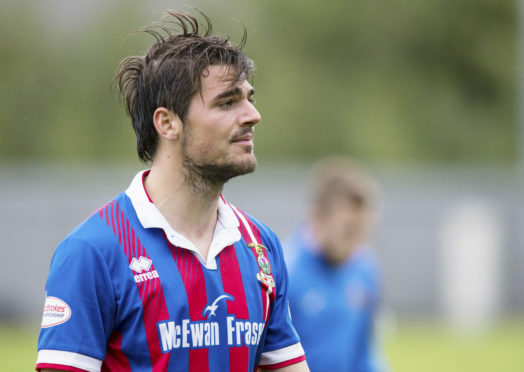 Caley Thistle midfielder Charlie Trafford. Too many talented kids have been lost to other sports. Bringing the World Cup to Canada should change that. The enthusiasm in Charlie Trafford’s voice tells its own tale; he is one who made it in the professional game, leaving Calgary to chase his dream overseas. But Wednesday’s announcement that the United 2026 bid, which comprises Canada, Mexico and the United States, would host the World Cup in eight years’ time should improve development in those countries no end. Trafford, who plays for Caley Thistle, points to young players having no end goal to aim for. With a dearth of professional teams in Canada, multi-sport athletes would inevitably pursue ice hockey, baseball or basketball rather than football. The career options were more wide-ranging. But the advent of the Canadian Premier League next year, plus the World Cup coming to North America, gives fledgling stars a target to aim for. Trafford said: “There’s no end goal for Canadian players. Kids get to 14 or 15 and look at their futures; there’s only three or four full-time teams across the country. There’s hundreds in other sports. The Canadian and American system is great with kids playing multiple sports, but they get to that age and see more chance of playing professionally away from football. “There’s not the same passion for it here like there is in Europe. But this is one of the things that can really kick off a spark and get a lot of people behind it. 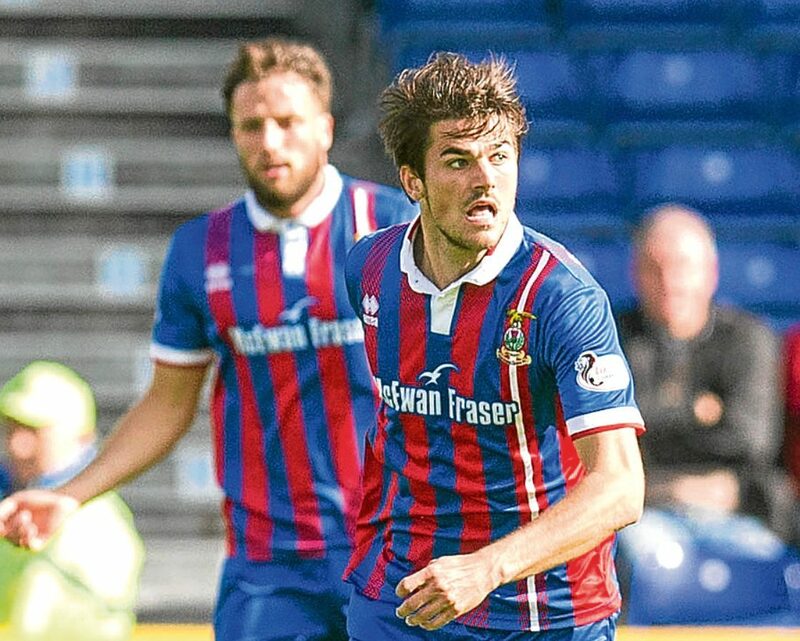 One of the CPL franchises will go to Trafford’s home city and another player with Caley Jags connections, Calum Ferguson, has said he will enter the league’s inaugural draft. 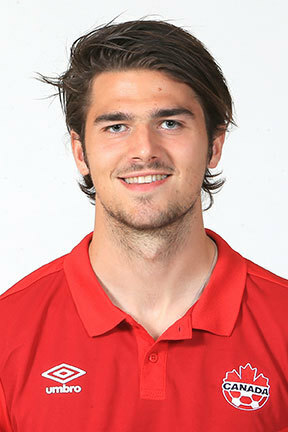 Charlie Trafford has three caps for Canada. Three Canadian teams – Vancouver Whitecaps, Montreal Impact and Toronto FC – play across the border in Major League Soccer, while the CPL is expected to have at least eight franchises for kick-off in 2019. The underperformance of the Canadian national team is somewhat puzzling given the calibre of players the North American nation has managed to produce. Dwayne De Rosario, Julian de Guzman and Atiba Hutchinson have been stalwarts of the Canadian setup, each amassing more than 70 caps and playing in some of the top leagues in Europe. Jason de Vos, Iain Hume and Paul Stalteri all played in England and Junior Hoilett has had an on-off relationship with international football. Scotland has proved a popular proving ground. Scott Arfield, a recent signing for Rangers, is in direct competition with Inverness’ Charlie Trafford for a spot in midfield, while David Wotherspoon, Fraser Aird and Marcus Haber have all donned the red-and-white jersey having played in Scotland’s top flight. Trafford is not the first Canadian to play for Inverness either, that honour belonging to Richard Hastings, who until recently was still a youth coach at the club. A frustration faced by the national team is players opting to play for other countries rather than Canada. Asmir Begovic represented Canada at the under-20 World Cup in 2007 having grown up there but was born in Bosnia and Herzegovina, whom he switched to in 2009. Owen Hargreaves was also born in Calgary but chose to play for England, thanks to his English father, and could also have played for Wales as it is his mother’s homeland. Jonathan de Guzman, brother of Canada’s record cap-holder Julian, left Ontario at 12 for the Netherlands and made his debut for them in 2013. Caley Thistle midfielder Trafford would hope to be involved in the 2026 World Cup. Hosting the World Cup means the Canucks will finally return to the tournament – they have only qualified for the 1986 iteration. They have two Gold Cups, in 1985 and 2000, but there is a sense the nation has underachieved at international level. Trafford said: “We have the infrastructure, the money and the people to get behind the national team. If we can do something like that, it’ll get more people on board and maybe we can do something special. “I’ve already had a few messages from friends saying I best be on my game in eight years. But I would love to go to one before that. I’m going to do what I can to try stick it out and be successful. It’s a dream of mine; it would be unbelievable to be part of.